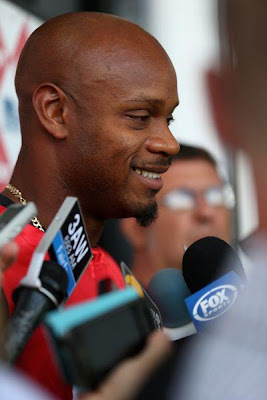 Ahead of running in the 2013 Qantas Melbourne World Challenge, slated for April 6, ace Jamaican sprinter Asafa Powell has touched down in Australia. Powell jetted into Melbourne on Tuesday morning, and later kicked off preparations for his Australian race schedule, which includes the Australia Post Stawell Gift and then the 2013 Qantas Melbourne World Challenge on April 6 at the Lakeside Stadium in Albert Park. Powell, who has run 9.72sec in the 100m, will face the local media in Melbourne on Wednesday afternoon for his first interviews since arriving in Australia. "I have been really looking forward to my return to Melbourne," said Powell. "Now there is the new stadium with its blue track, and I am looking to attack a sub-10 second 100m. It remains as a goal for me to break 10 (seconds) in every continent." Mission Catwalk is adding a stylish boost to your Saturday nights! As it turns out, for the upcoming third season the fashion reality series has traded its usual Tuesday-night slot for a weekend placement. The show, which features 15 Caribbean design hopefuls competing for over $3 million in prizes, will now air on Saturday nights at 8:30pm on TV J, with repeats on Tuesdays at 5:30pm. 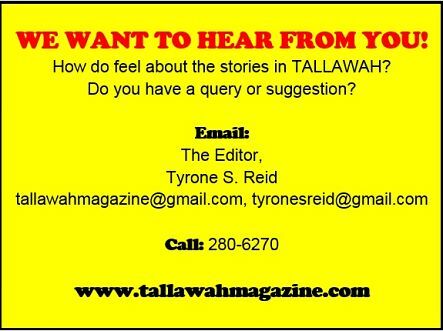 Season 3 kicks off April 13. For 2014, The Academy Awards telecast (better known as the Oscars, which airs annually on ABC) is being shifted from February to the month of March. According to producers, the temporary move was decided on to avoid a clash with the broadcast of events from the Winter Olympics.